The Grand Cherokee Limited is marketed as a tough SUV. The new 2018 Jeep Grand Cherokee is available in 11 trim levels: Limited, Upland, Altitude, Laredo, Trailhawk, Trackhawk, Sterling Edition, High Altitude, SRT, Overland, and Summit. 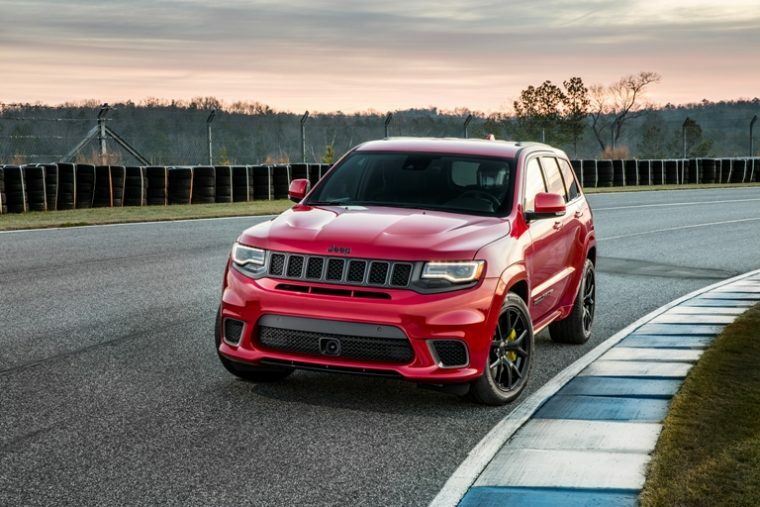 The base price starts from $30,695 for the Laredo stretching to $86,000 for the Trackhawk, with the nine other models in between the price range. The Limited model offers an impressive fuel economy of 19 mpg in the city and 26 mpg on the highway. Inside, the Jeep Grand Cherokee Limited sports supple leather seats (heated and ventilated) with a nice, thick, beefy steering wheel grip. The UConnect Infotainment system is housed in a 7-inch touchscreen with Apple CarPlay and Android Auto. The SUV can engage in Sport, Auto, Snow, Sand, and Tow modes. The Grand Cherokee aggressively boasts five engine options, starting with the standard 3.6-liter V6 with 295 horsepower and 260 lb-ft of torque accompanied by an eight-speed automatic shift. The available 5.7-liter HEMI V8 spits out a 367 horsepower and 389 lb-ft of torque. People in the US normally prefer the 3.6-liter V6 because of its impressive fuel economy ratings. The V8 AWD is hungrier, yielding 14 mpg in the city and 22 mpg on the highway. Unlike the Jeep 4.0 engine, this one is more capable and powerful both on-road and off-road. For a more powerful drive, you can opt for 6.2-liter V8 Supercharged engine or the SRT® 6.4-Liter HEMI® V8. The mid-sized SUV competes with the BMW X5, Volvo XC90, and Audi Q7, and can house only five persons. However, its rivals offer an extendable third-row seat to accommodate seven passengers in total. The Grand Cherokee also shares some structural design specification with the Mercedes GLE. With its off-road capabilities, it trumps its rivals with agility and stamina when the going gets tough. Most compatible and adaptable SUV in a crowded V6 and V8 segment.